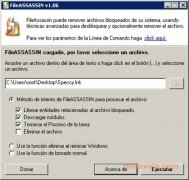 On many occasions, due to the dependency of certain files with others it is impossible to eliminate certain files from our computer. The usual return message that we receive when trying to eliminate these files is "file in use" or "access denied". 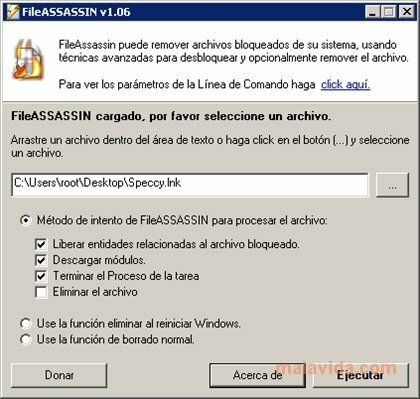 This is the main reason why it is always handy to have a program like FileASSASSIN available. 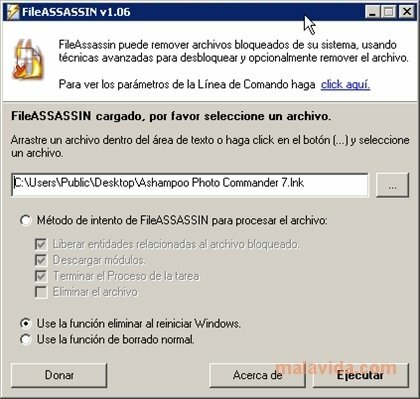 FileASSASSIN is capable of unblocking any file stored on our hard drive, thus allowing us to eliminate it from our system. 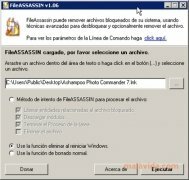 This is specially useful when we detect malware files that are very hard to eliminate from our computer. To accomplish its task, the application has advanced methods that manage to end the appropriate system processes, thus allowing to eliminate the file as fast as possible. This utility has a graphic interface, but to make it even quicker to use, it is also possible to use it from the command line. 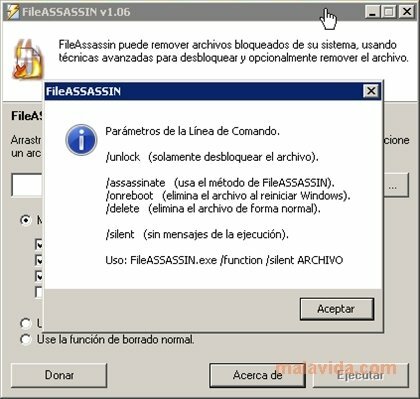 If this is the case, we will have to use one of the following commands: unlock, assassinate, onreboot and delete. This application works with Windows 2000, XP and Vista.